The unique sophistication of his total design approach ensures the delivery of living spaces which encapsulate both the lifestyles and visions of those who live and work in them. Ernst creates more than designs, he inspires his clients to craft their own style to go hand in hand with their way of life. 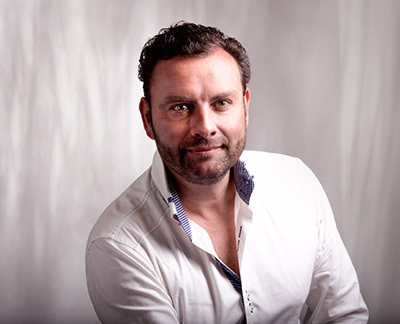 As Founder and Creative Managing Director of ZANTOS Interiors and Exteriors, Ernst prioritises both the clients’ wishes and their budgets. He works diligently with his clients to ensure that their exclusive needs and requirements are met during the design process; meticulously choosing quality building materials, textiles, furnishings, lighting, and decoration; giving utmost consideration to every last detail. Born in Holland, Ernst is the son of landscape architect, he was educated in construction, furniture design and business at Intercollege Den Haag in The Hague, and HMC Rotterdam University. After cutting his teeth in several interior design companies such as Boley, RSB and Art of Living, Ernst honed his skills in the employ of internationally known architect Jan des Bouvrie where he worked for 7 years in sales and management. In 2000 ZANTOS Interiors and Exteriors was born under his direction. With the success of his signature style, innovative designs and Dutch precision approach, Ernst expanded his work abroad. In 2004, he and his family moved to the South of France and marked the beginning of an exciting new chapter in the story of ZANTOS. He and his wife, designer/artist, Karin Zantingh Van Os built their private villa at their dream location in the small village of Montauroux, nestled in the Provencal hills close to the French Riviera. As a family man with three growing boys, the villa design centred on family life influences and the changing needs of the young family over time. The completed villa is a beautiful family sanctuary and an ultimate showcase of the ZANTOS ‘know-how’ in the creation of functional and flexible spaces. Ernst’s A-Z ‘total design approach’ (from the conceptual stage right through to the finishing touches), married with his passion and enthusiasm, has proven a perfect formula for success. 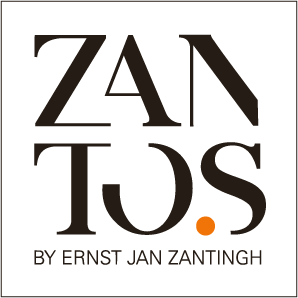 ZANTOS clients are assured of meticulous research, scheduled concept plans and realistic budgets. Ernst’s philosophy is grounded in the importance of time – the time dedicated to clients to realise their desires and the time entrusted by clients to his crafting of quality, timeless design created to last.